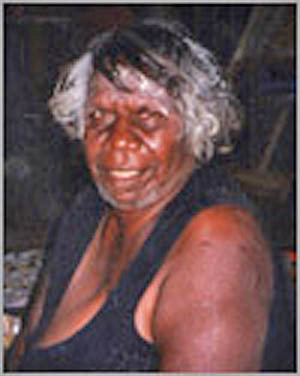 Gladys Napangardi Tasman was born circa 1930 and is from Lajamanu, Northern Territory. Gladys first began to paint on canvas in 1986 when this medium was introduced by European influence in the community. The stories and traditional painting style have remained the same as were painted on artefacts and stones, in ceremony times on the bodies and on the ground.